Diane Rains has her fingers in a lot of proverbial pies (preferably, chocolate). 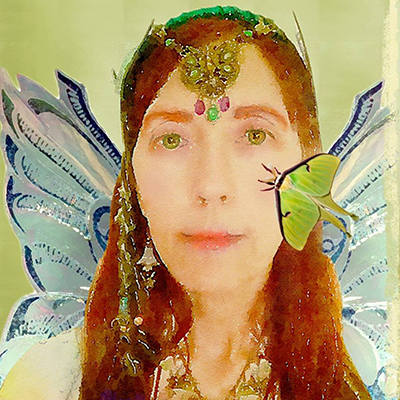 She is a naturalist, animal behavior specialist, luminist painter, singer, pianist, composer, children's book author, and filmmaker. She also manages the wildlife sanctuary, Punchinello Prairie, that she and her husband, Stu Janis, share in western Wisconsin. 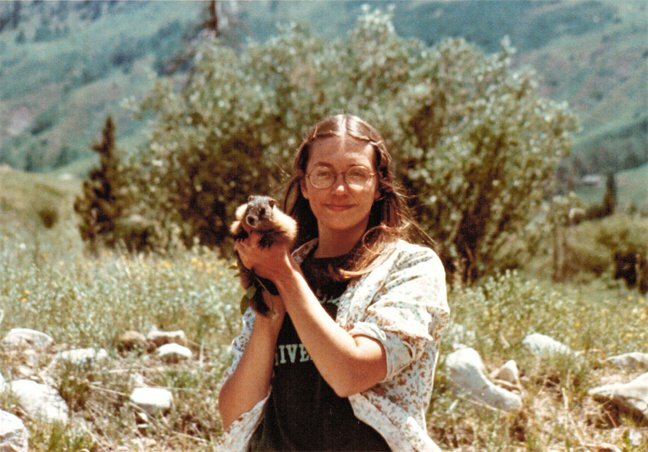 Love and respect for animals and nature, as well as the creative power of imagination, have always been paramount in Diane's awareness, from earliest childhood right up to today. 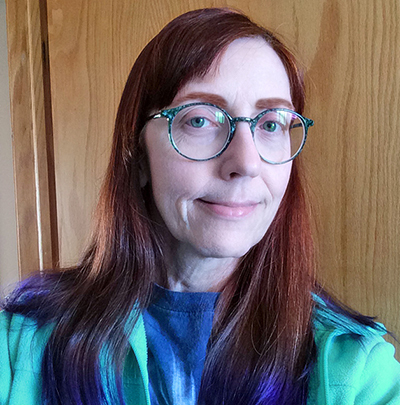 Diane honed her knowledge of the natural world with many years of schooling, including B.S. and M.S. degrees in Wildlife Science, as well as a PhD education in Veterinary Physiology, and advanced coursework in positive reinforcement-based animal training. Music, too, has always been a part of Diane's life. She is an adept pianist and singer. One of her greatest joys is making music with her multi-talented husband in their duo, Neptune's Keep. In recent years, Neptune's Keep had the remarkable experience of collaborating with live goldfish trained by Diane to make mesmerizing music. That marvelously fishy musical collaboration has now ended, but Diane and Stu still share their lives with two herds of seahorses. And they are fantastic dancers! 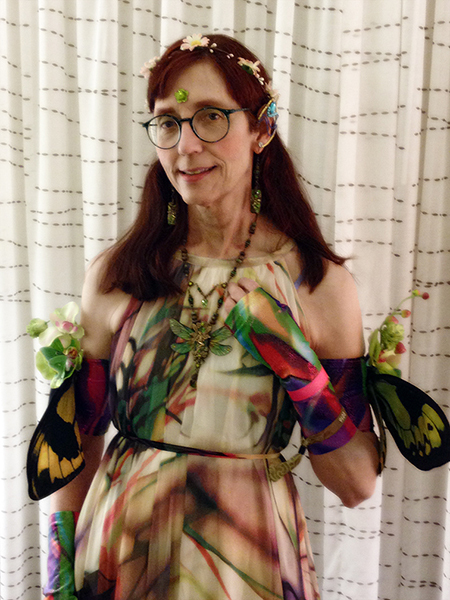 Diane enriches her spring and summer months with moth-rearing projects. She raises native giant silkmoths (Saturniids) for release into the wild. 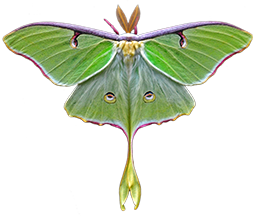 Some of these mothy beauties also make appearances at Fae By Nature's educational entertainment programs for children. And, of course, Diane is as much fae creature as human! 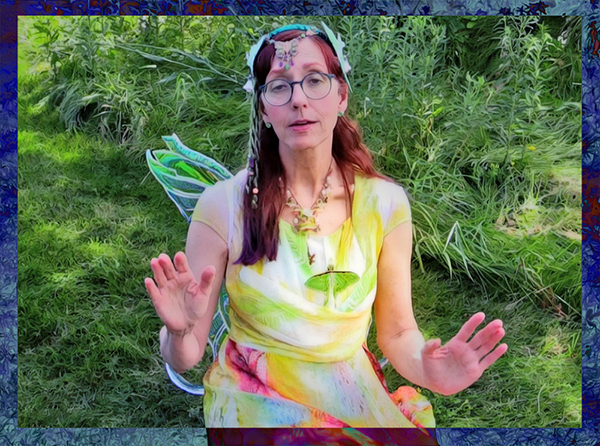 In her roles as Faerie Galene Meadowmoth and Mermaid Galene, Diane brings a magical sparkle to Fae By Nature's musical and literary performances. 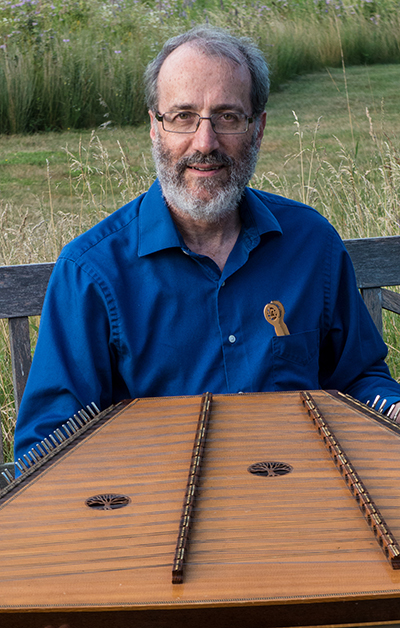 Stu Janis is a musician of eclectic taste and rare talent, excelling in unusual instruments like hammered dulcimer, concertina, bowed psaltery, handpan, and tsimbl. He performs regularly in several bands and is popular as a choir accompanist on hammered dulcimer. Stu Janis's life is a balance of artistry and science. 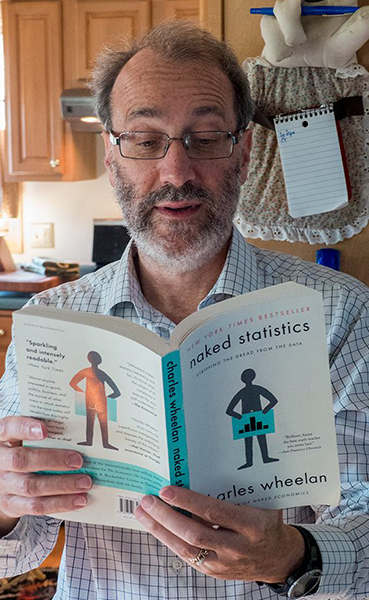 As a retired corporate statistician with 3M, Stu knows the value of project planning, data collection, and objective analysis. But Stu also knows the value of artistic expression. 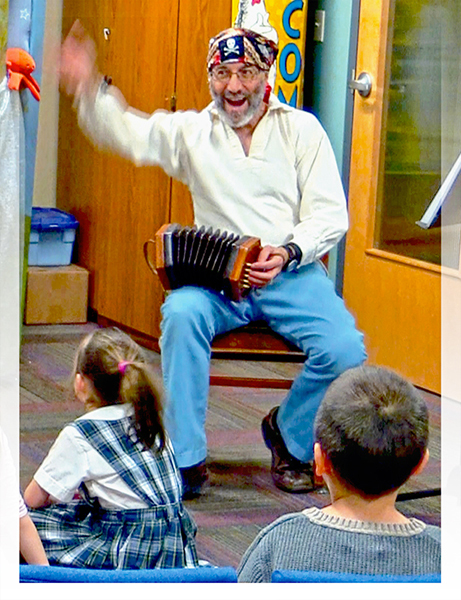 For nearly 30 years, Stu Janis has been Diane Rains's husband and partner in creative educational entertainment, musical expression, fur and finkid parenting, and life. To Fae By Nature Stu brings decades of experience interacting with audiences. As Mr. 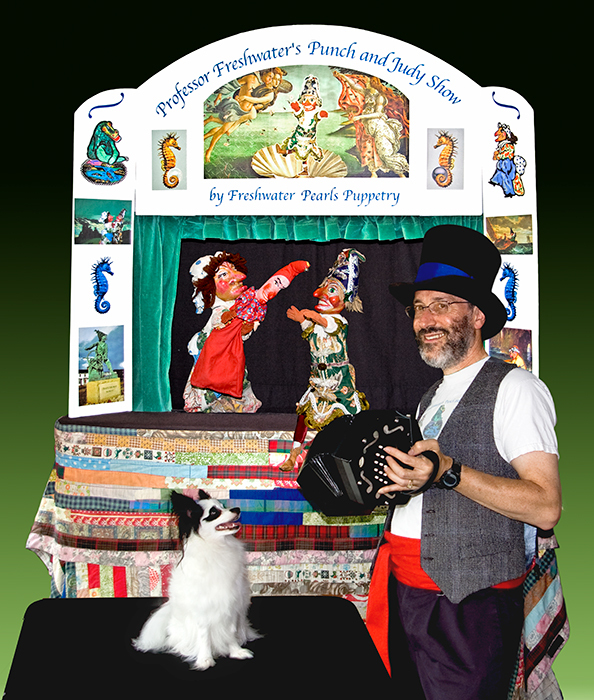 Bottles in Professor Freshwater's Punch and Judy Show, Stu perfected his front man's craft, creating a gently silly rapport with children of all ages. Today he utilizes that skill in his role as Salty Stuart the Pirate Elf, the most mild-mannered and good-humored of nautical scallawags. But Stu is more than just a fun guy. He's a musician of skill and expressive sensibility. 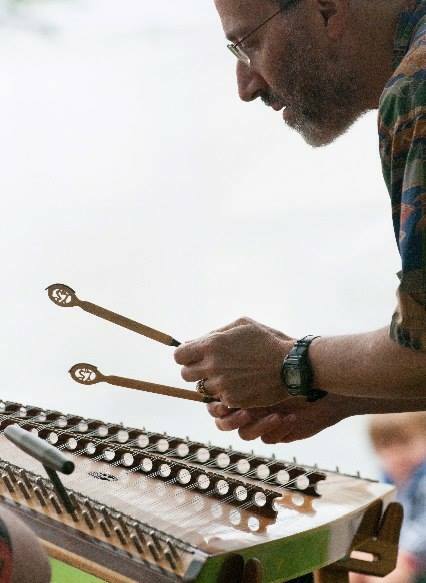 Stu has played music professionally for over 30 years, and he is a performing member of no less than three bands: Greenwood Tree duo, Neptune's Keep, and Eisner's Klezmorim. Hammered dulcimer, concertina, bowed psaltery, and other instruments sing beneath his nimble fingers. 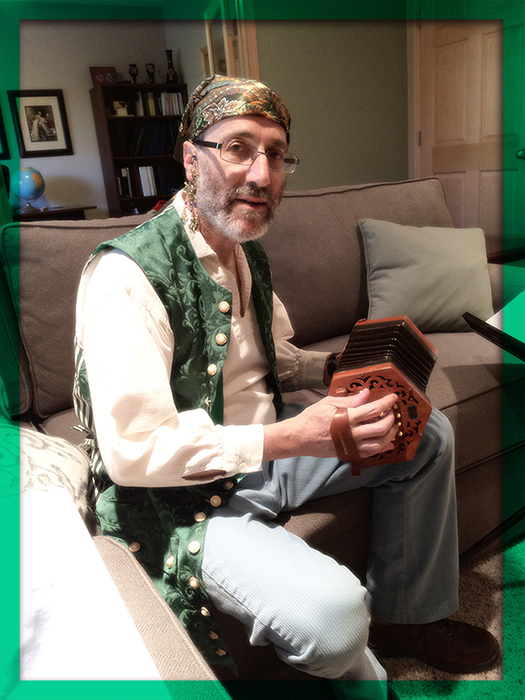 From Irish jigs to oceanic ballads to soaring choral accompaniment to Jewish klezmer, Stu's music is pure enchantment! 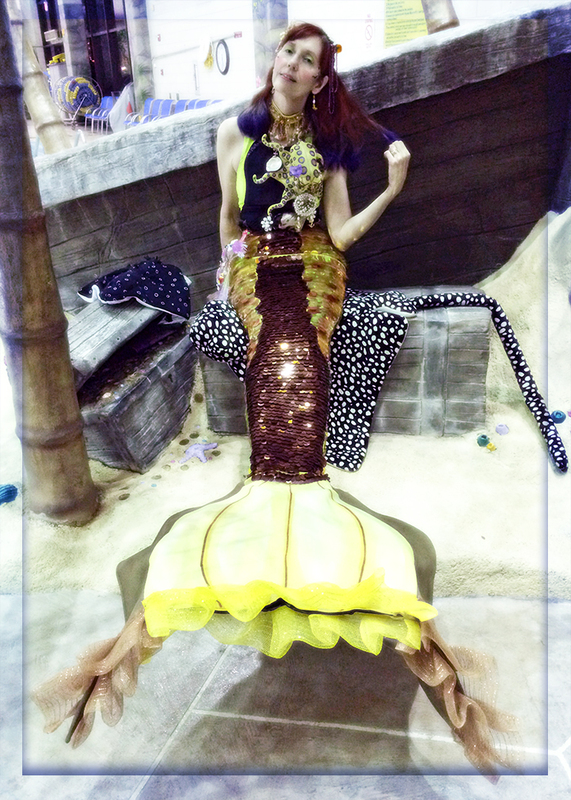 Meet Faerie Mermaid Galene. Her name sounds like "gull" (the bird) - "LEAN" (like when you're tilting to one side) - "knee" (a part on a leg, which most mermaids don't have). Galene is a water faerie. That means she's part mermaid and part faerie. Her home is in the ocean, in a City Beneath the Sea called Coral Town. 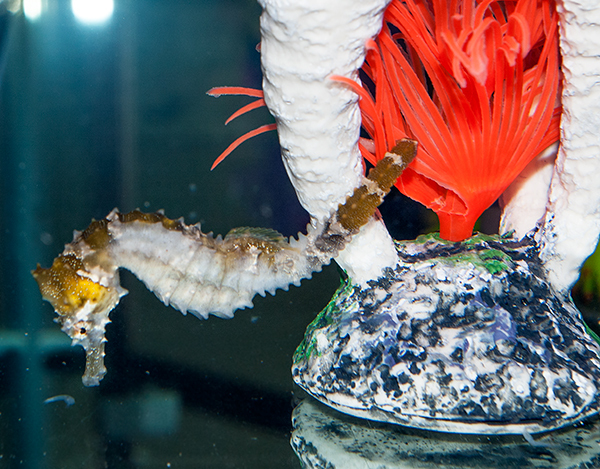 Her close friends are dolphins, manta rays, whales, and especially seahorses. Her very best friend is Salty Stuart the Pirate. He is also her husband, so that works out well. But Galene loves the world above the deep blue ocean, too. 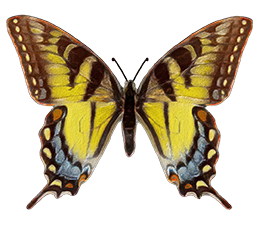 Faerie Galene Meadowmoth loves a prairie next to a musical brook, a graceful weeping willow with branches like a flowing ballet dress. She loves the deep, green forest, and especially oaks with wide arm branches, and towering redwood trees, which are lovely for hugging. Galene loves all the animals of the earth, and she speaks many animal languages. Galene talks to sea turtles and bright little shrimp, red as a tulip. She sings with meadowlarks and chitters with chickadees, and she's been known to swap jokes with a fox. She helps bluebirds clean house and mice find their way under the snow. 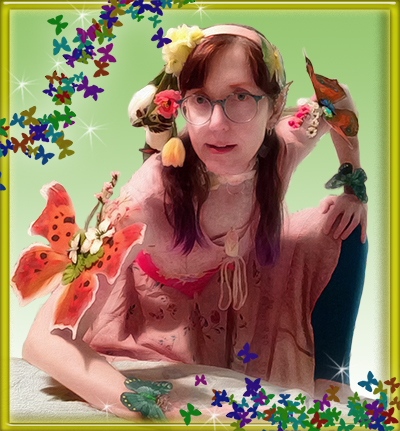 She uses faerie magic to help flowers grow, so that butterflies and moths can thrive. Her favorite moth is the Luna. Galene adores music, and she makes a lot of music herself. Rather splendid music, actually! Her favorite musicians are goldfish and pirates. Because Mermaid Galene is part faerie, she has wings! 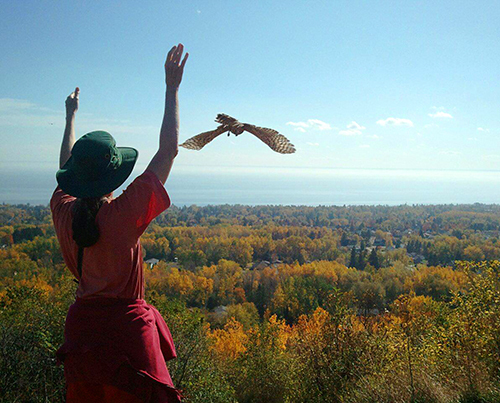 But she's not very good at flying, though she is taking lessons from a crow. Galene's very shy about flying, and she won't do it if anyone's looking, so don't ask her! Galene does have a little magic. It's Earth Magic. Unlike other mermaids, if Galene meditates quietly in one of the secret Places of Earth Magic, she can transform her tail into legs! But when she has legs, she can't stray too far from water, or she starts to feel woozy. In any case, she can only wear her legs for a short time. If she has them on for too long, Galene gets very tired and has to go sleep with her feet in a lake, at which point her legs turn back into a tail! Either way, whether strolling on legs or flipping in a tail, Galene loves this big, blue planet of ours called Earth. It's such an interesting, beautiful place. Would you like to explore it with her? Oh, good! Because you're invited! Now I'm in a Mermaid Pirate Band. I travel far from shore. I sing with whales and shine my scales. like bells on the ocean floor. Away we go with a Yo ho ho! What's a nature-loving, musical, gentle scalawag of a pirate to do when he meets the faerie mermaid of his dreams? Why, marry her, of course! And that's just what Salty Stuart the Pirate did. Now they sail the Seven Seas together, spreading joy and music and faerie dust to entertain and educate all whom they encounter. It's not easy keeping up with a magical gal who can morph from dazzling fish tail to legs and gossamer wings, but this pirate is up to the challenge. 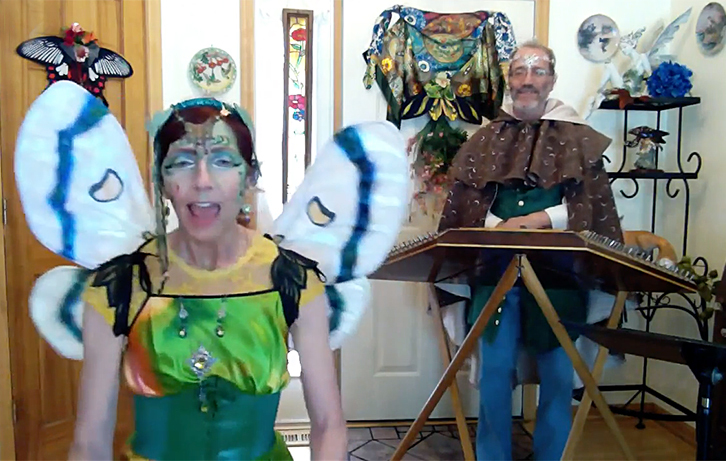 Salty Stu's nimble fingers coax lively and lovely tones from his concertina and hammered dulcimer, blending lusciously with Galene's sweet siren singing. Stu has an easy rapport with children, who are endlessly fascinated by his command of unique musical instruments. And no one can match his arsenal of fishy jokes! 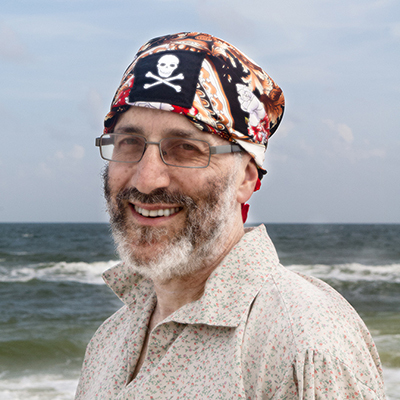 Arr, Salty Stu is an affable buccaneer of many talents! But here's a little known fact! Salty Stuart, by all appearances an ordinary, fun-loving pirate, is fact, an elf! As an adventurous elven lad, Stuart Willownote ran off to sea and joined a crew of seafaring rascals. With musical sealegs and a keen set of pointy ears, this unusual fellow is an enchanting first mate indeed for Faerie Mermaid Galene!